Travel to Brazil, flying from London to São Paulo or Rio de Janeiro takes around 11 hours. 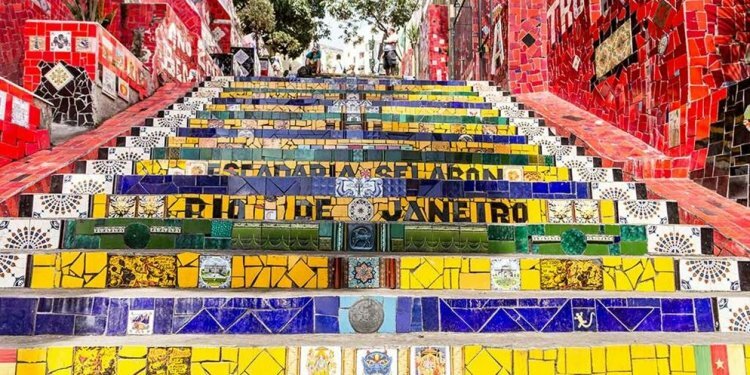 Check out the cheap flights to Brazil or call us about getting a Round the World ticket including a stop in South America. Brasilia airport is located 12 km south of the city. Buses run regularly to the city centre, the journey takes about half an hour and the cost is approximately R$5. A taxi will cost R$50 and takes about 15 minutes to the city centre. The city’s airport is located 20 km north of the city. Buses operate from 5.30 am till 11.30 pm which costs around R$5 depending on your destination. The journey takes about 40 minutes. An airport shuttle bus stops at all major resorts and hotels but only leaves every hour. Taxis are also available but must be pre-ordered, tickets can be purchased from a booth in arrivals. The journey to the city centre takes about 20 minutes and costs around R$38. Sao Paulo airport is located 25 km northeast of the city. There is an airport bus that runs every half an hour and takes only 30 minutes. Jump in a cab at a cost of R$25, the journey takes about 30 minutes. The size of the country means that the best Brazil transport option is usually by air. There are a number of national carriers as well as low cost airlines to get you from A to B. If you’re visiting during Carnival (or Christmas, New Years) make sure you book well in advance! If you’re on a budget and have a bit more time to spare the bus can be a good way to get around. But remember there are some mighty distances involved! Fortaleza to Rio de Janeiro for example is 44 hours away by bus. The rail network in Brazil is a limited one, with 17, 500 miles of rail lines compared with over one million miles of roads. Hence don’t rely on rail to travel the country, but there are several scenic routes that are worth exploring.